Air Austral and Air Madagascar have signed a Memorandum of Understanding (MoU) with Kenya Airways in Antananarivo, Madagascar. By signing the MoU, the three companies lay the foundations for a new partnership and have the ambition to boost their footprints in Africa and the Indian Ocean Island. 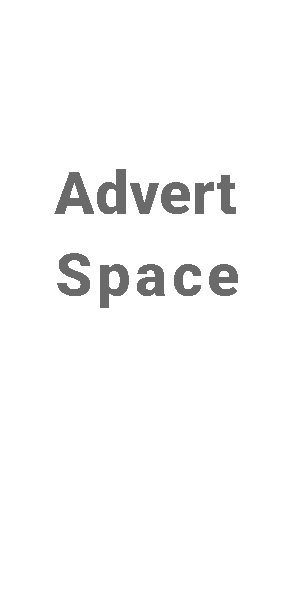 Through the privileged partnership the three airlines commit to develop code share agreements and increase the connectivity options and offer a wider choice of services to customers. The three hubs of Nairobi, Antananarivo and Saint Denis de La Réunion are strategically well positioned to make the privileged partners benefit from their complementarity. Mr. Marie-Joseph Malé, Air Austral CEO, Mr. Besoa Razafimaharo, Air Madagascar CEO and Mr. Sebastian Mikosz, Kenya Airways Group MD & CEO, met in Antananarivo to establish the broad lines of the three-way partnership and the implementation schedule. The new partnership opens up the possibility of implementing new connections between the Indian Ocean and the African continent which will bring the three territories closer together. 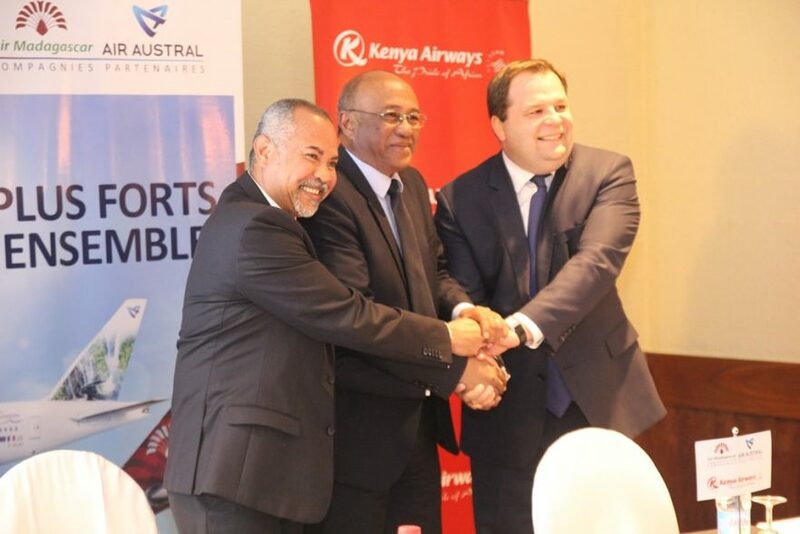 “Air Austral is very proud to have signed this new partnership today with Kenya Airways. This is a huge step forward in the implementation of a strategic partnership with Air Madagascar. This new strategy was established from the outset of the business recovery plan for the Malagasy national airline and will provide our three airlines with great development potential. 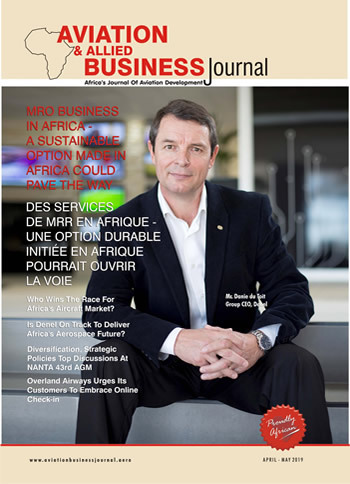 In addition to the Reunion Island and Antananarivo hubs, Nairobi is now the gateway to the African continent and will enable commercial and tourist exchanges to grow between the three countries and improve the connectivity between our respective territories,” explains Marie-Joseph Malé Air Austral CEO. “We are delighted with the signing of the memorandum of understanding, which opens the door to new destinations, particularly in West Africa, with the dense network offered by the privileged partner Kenya Airways. The milestones of the consolidation and development of our respective presence in the Africa and Indian Ocean Zone have been set, the next step is now to explore the different possible synergies between our three companies in various fields such as fleet, maintenance, training, cargo,”says Rolland Besoa Razafimaharo, Air Madagascar CEO.